Steven understands his clients’ needs and concerns, and focuses on providing sound legal advice with care and empathy. 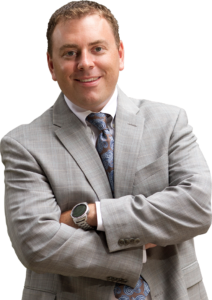 While he has experience advising and representing clients in various disputes, Steven specializes in representing clients in the Motor Vehicle industry and in Georgia Fair Business Practices Act litigation, as well as Small Claims training. Steven knows how to analyze the legality of fines levied by the Governor’s Office of Consumer Protection against motor vehicle dealers and has negotiated settlements and dismissals, saving clients hundreds of thousands of dollars. He has also defeated employee claims of harassment, unequal pay, and discrimination before the Georgia Department of Labor. Steven trains business owners and individuals on the Magistrate Court process for cases in which they can represent themselves. He teaches his clients how to navigate the legal arena–from filing paperwork to presenting their cases in court, and everything in between. 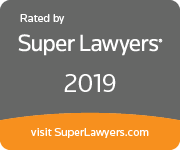 Steven has been recognized as a top lawyer in Georgia and was named a “Super Lawyers Rising Star” by Super Lawyers Magazine and Atlanta Magazine for 2019. Only 2.5% of all lawyers in Georgia are selected as a “Rising Star.” Steven was also featured in the Fulton County Daily Report newspaper for his practice and experience. Steven is a member of the State Bar of Georgia and is licensed to appear before the Supreme Court of Georgia, the Georgia Court of Appeals, the U.S. District Court for the Northern and Middle Districts of Georgia and the Superior, State, and Magistrate Courts throughout Georgia. Prior to founding Lefkoff Law, Steven was an Associate Attorney with Jacobs & King, LLC where he supported clients in civil litigation, dispute resolution, corporate representation, and independent motor vehicle dealer representation. During speaking engagements, Steven’s passion for the law and its intricacies are evident. He has a unique style of delivering content that makes learning about the law informative, fun, and easy to understand. His specialized knowledge of the Motor Vehicle industry and Georgia Fair Business Practices Act make him the ideal speaker for continuing education seminars. Steven recently spoke about “The Fair Business Practices Act and Running Your Dealership” to over 500 dealers at GIADA’s continuing education course. He has also given talks on “The Fair Business Practices Act: The Laws Governing Transactions Between and Consumers in Georgia” and “Representing Clients in Magistrate Court” at seminars for the Atlanta Bar Association. A graduate with a degree in Finance from the University of Illinois and a law degree from the University of Georgia, Steven is easy to work with and friendly. He is committed to creating long-term relationships with his clients based on respect and mutual trust. He will help you understand your situation and provide you with the best options for resolving it efficiently and effectively. Steven was born and raised in Georgia; he lives in Atlanta with his wife and 2 children.